NEW for 2015! 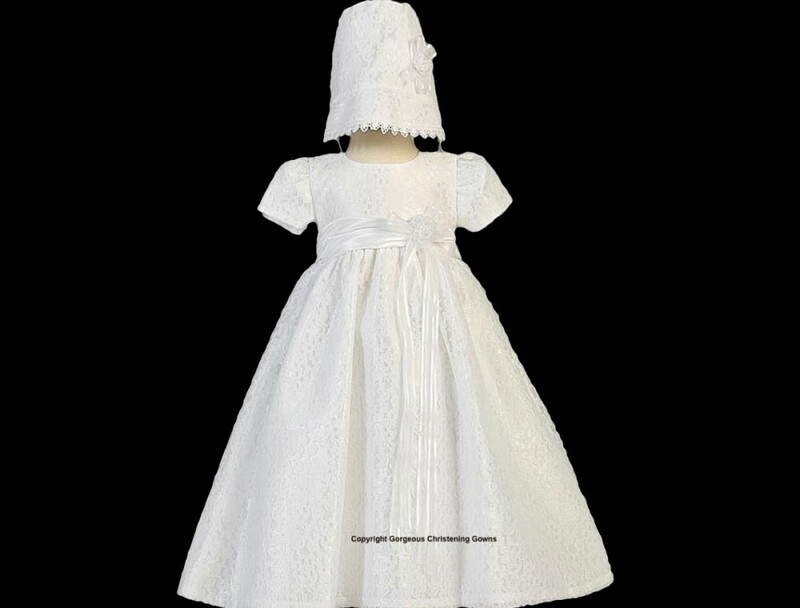 This beautiful white short cap sleeve lace tulle christening gown is accented with a wide sash waist and bow and ribbon tendrils. 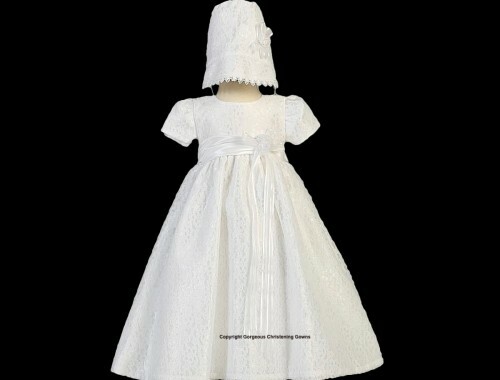 Two piece set with matching bonnet. 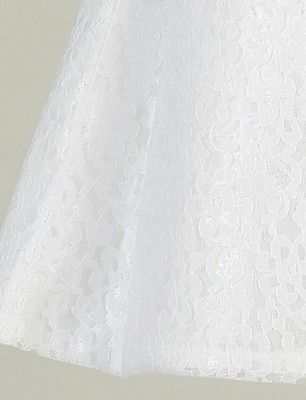 It will surely impress and will make the Christening ceremony an unique event. 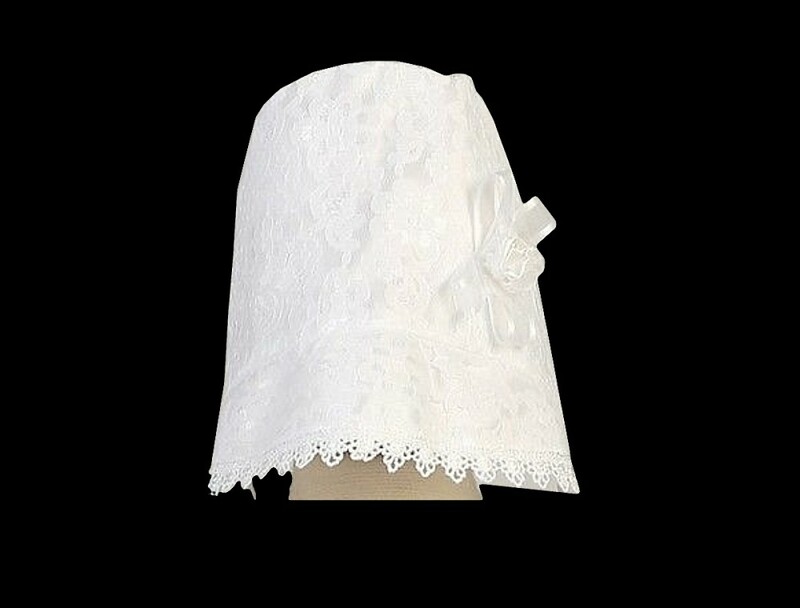 Matching Bonnet with all over lace, a ribbon bow & lace trim also included.